Cubed3 Limited (Cubed Three, C3) is an online information resource and community with a passion for Nintendo and video games. Based in the UK, we bring daily updates, worldwide coverage and discussion. Cubed3 attracts over 200,000 unique visitors per month. 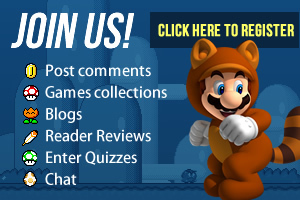 Our focus is on daily news, comprehensive reviews, in-depth features and our growing forum of likeminded Nintendo enthusiasts.